In a bowl, combine all ingredients and mix well. If not using all of the mixture, cover tightly and refrigerate (it will keep for up to two weeks). Make a double batch and they were so good. I ate them with everything. Had to make more they are so good. Thank you for sharing such a great recipe. My husband and I love Mexican food and follow all your TV shows, We enjoy how you show us your beautiful MEXICAN country. All your recipe are so very delicious. You are a great cook and a wonderful person. Oh wow…thank you for your lovely message Cora! As per my doctor: amount of grapefruit is NOT significant enough to interfere with statin medication. For example, my medication, Lipitor! Thank you for sharing Santitos. En mi rincón de México, le llamamos naranja cucha, mis papás tuvieron un árbol de ellas por muchos años. ¿Es muy importante usar el jugo de toronja? Es que no me gusta toronja. No hay problema! Puedes usar mas jugo de naranja y limón! Chris, I also take a medicine that is not compatible with grapefruit – Lipitor. If you are on a similar statin, talk to your doctor about switching to another statin drug like Crestor which is compatible with grapefruit. That is what I am going to do. 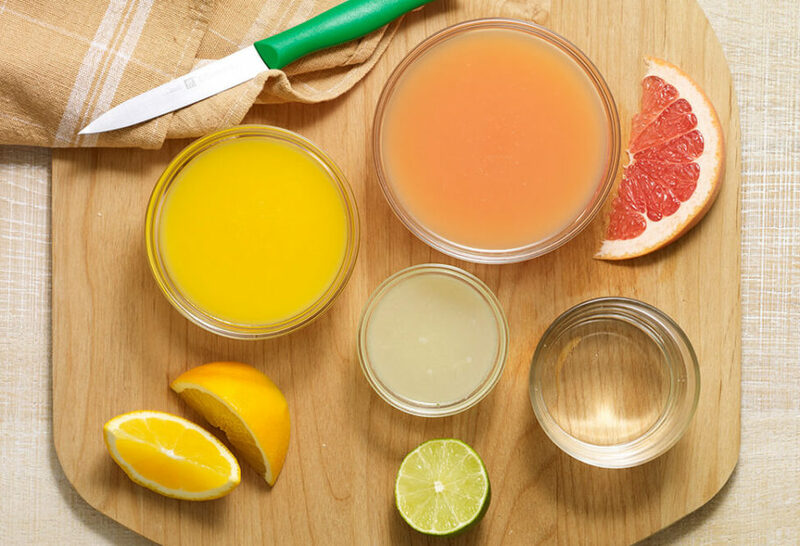 Hi Pati, I love the combination of the three juices but am still curious about the flavor of the true bitter orange…. do happen to know the name of the variety? Is it the Seville orange? Hi Chris, you can use more OJ and lime juice in place of the grapefruit juice. The real bitter orange contains the same enzyme that causes the drug interaction with grapefruit. That is probably why it works as a substitute. There are a lot of articles about the safety of bitter orange but few mention it from a food ingredient standpoint. I wish I knew more. Seville oranges are the orange in orange marmmelade and it is also known a bergamot, the flavoring in Earl Gray tea. This is great information Jeff! I will be careful about those foods until my doctor switches me to a different statin prescription.